J Pillow is famous for its unique design and it's also the best-selling travel pillow, we posted our review of this special pillow here. Last week, we received an email from a reader very surprisingly. It's a J Pillow Review, in this review, he shared his personal using experience and idea about this amazing travel pillow. We'd like to share it with all our readers. 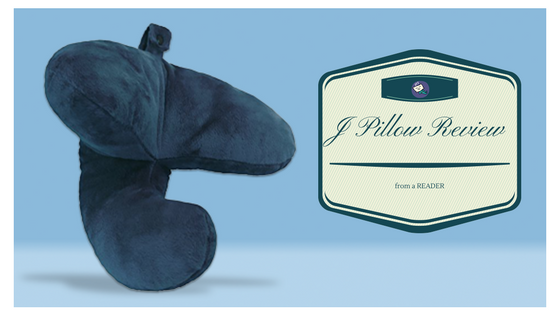 The J-pillow is one of the most amazing pillows to bring with you anywhere and everywhere. Filled to the brim with unique features and designs that differentiate it from other neck pillows, it is clear why it is dubbed as the British Invention of the year for 2013. Many news outlets also claim this to be a modern miracle. The inventors also describe it as a “must have” for traveling to different places. So in this article, I will be reviewing the product based on my own impressions using it and to find out if it really is a must have. Let us see if it holds up to the hype people give it. So without further nonsense, here is my J-pillow review. Do note that this is completely my own opinion and that it may be different from yours. But either way, I hope this review of the J-pillow gives you some insight on what I found about the product through testing and bringing it with me in my travels outside the country. 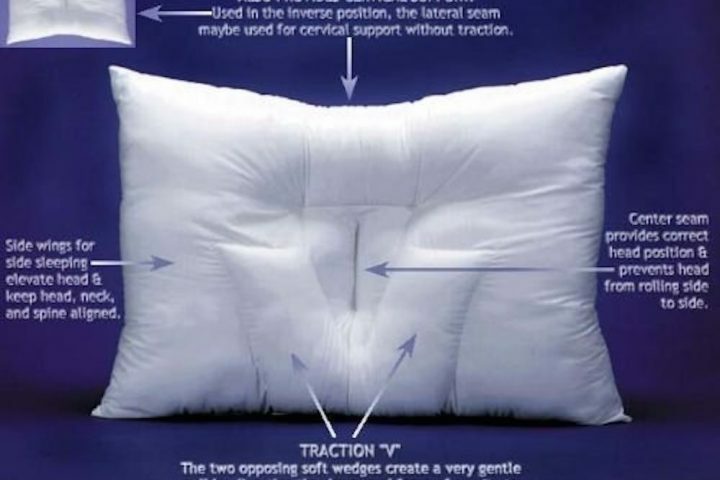 Let us start right off with the many features of the J-pillow. 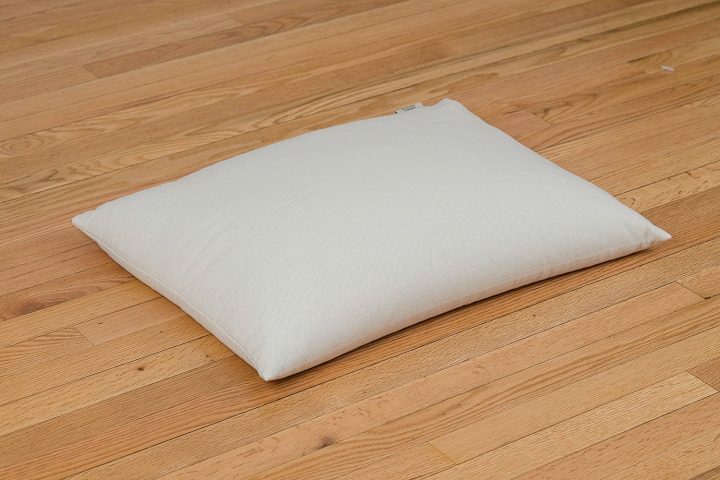 The product is brimming with features that make it be described as the ultimate travel pillow. 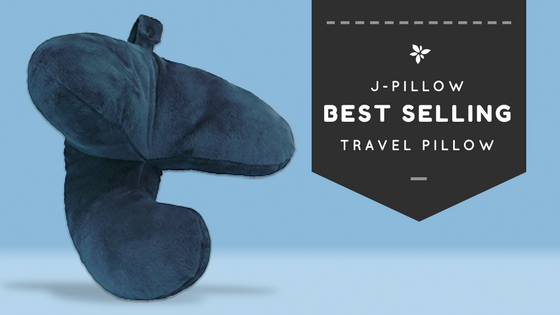 Let us find out what they are and how they rate: Unlike normal travel pillows, the J-pillow has a pillow for the back of the head, the side of the head, the neck, and the chin! That is a lot of pillowing! This allows it to prop your head up without straining your neck. We all know how traveling in airplanes for a long time can be straining to your body, and especially your neck, so this is nice to know. 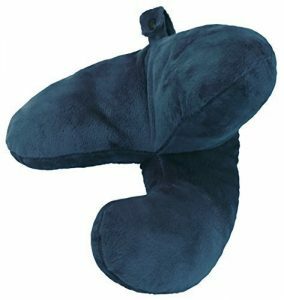 This product instantly appealed to many customers just because of its added comfort as compared to the normal U-shaped neck pillows. The J-pillow also features a snap loop, for easily attaching it to your bags, luggage, or even your pants, so you do not have to carry it around with you all day. This is nice as most average U-shaped neck pillows do not have a snap loop for attachment anywhere. And again, unlike any other travel pillow, the J-pillow can be squeezed into a ball for easy storage, and whenever you need it, it will just go back to its original shape on its own. This is very different from the normal U-shaped neck pillows that cannot be squeezed into a ball. This makes the J-pillow much more space efficient with what it has. It can also be used in a multitude of positions. All you have to do is to just rotate it around and fit your head into it! Every rotation gives you a different feeling and comfort, all of which are just relaxing to feel for your body. The possibilities are endless. It can even be put on your chest, arms, and feet! According to the inventors, it can also be completely washed, no longer have to remove the covering. Putting it in the wash and taking it out will make it look completely brand new. This feature is very different from most modern U-shaped neck pillows that feature removable covers so that you can wash it separately since the fillings or foam inside does not get dirty thanks to the covering. Read on to find out my thoughts on this feature choice. Moving to the design of the J-pillow, it is designed to be easily compacted, as mentioned in the earlier paragraph; it can be compacted into a ball shape, and yet still versatile enough for all sorts of uses. Its specific target design is to support not only the neck, but also the chin, and the head. It is not limited to usage in only low back chairs, because of its design; it can also be used in high back chairs with ease! This means you can use it in the airport lounge waiting for chairs, but also in your airplane seats, car seats, and even a king’s throne. And it isn’t limited to use on the head either! It can also be used as a simple arm pillow, or even a back pillow, the number of ways to use it is really only limited by your imagination. If you noticed a trend, the J-pillow is a product that tries to transcend your ordinary neck pillow in all aspects, design, features, quality, and more. I am sure that the design aspect of the product is what made it become the British Invention of the Year for 2013. The product focuses on adding comfort for us, by improving and adding on the existing concepts for neck pillows. When it comes to quality, the J-pillow is said to be filled with high-quality 3D filling, compared to most normal travel pillows that use 2D filling, giving you better relaxation. However, it doesn’t use memory foam, which most high-quality travel pillows use. The product also uses a soft plush covering to remind you that travel can indeed be luxurious. But it can be super soft, that it easily slides out of your face. Nonetheless, softness is what we look for in a pillow, is it not? 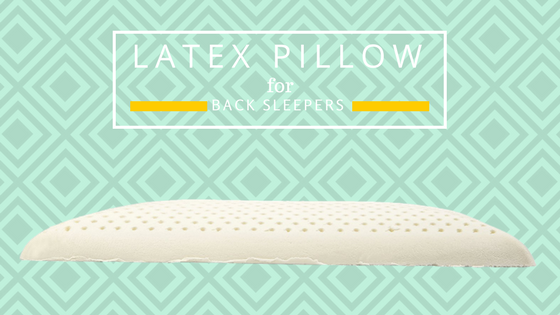 The product excels in many areas: The product is very soft and comfortable, so it really is something I can bring with me anywhere for comfort. It is good to use in seats with something to prop on like a window seat on an airplane, or the shotgun seat in a car. It has a great focus on chin support! And the product has lots of different uses, not only for the head but for the arms, legs, and back as well. Design wise, it is better than all of the u-shaped neck pillows because of its added comfort. And material wise, it is better than most normal travel pillows that use the regular 2D filling. 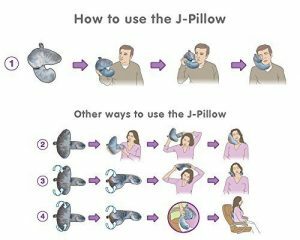 How to use the j pillow? 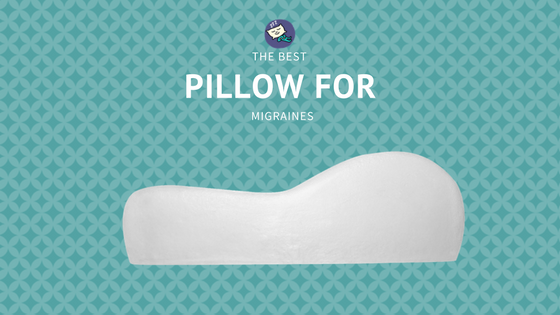 But the product also fails in many areas: The product may be soft and comfortable, but it isn’t memory foam, which should be the standard in all travel pillows for the ultimate comfort it provides. This means it may be better than normal u-shaped neck pillows, but it is not better than the best u-shaped neck pillows that are made of memory foam. The cover is not detachable for separate washing, and I’m nervous about what multiple washing will do to the fillings inside. Most good travel and neck pillows have detachable covering so you can easily wash the cover without ruining the fillings. The J-pillow does not come with a travel bag either, and since it can’t be slotted in your neck and slides easily from the face, it’s hard to bring it with you to places without a bag big enough for it to fit in. Squeezing it into a ball is harder than advertised, as it still takes up much of the original space unsqueezed. As you can see, the cons really do far outweigh the pros. It does not completely support my chin, maybe because of my slight double chin. But that should not be the case because many people have double chins, and this should be taken into account when designing the product. After a while, it just slides out of my face. I used the J Pillow grey on my recent trip to Japan. I was very excited to try it out as I only opened it up for use right before my flight. On my first flight, I was assigned the window seat, and using the J-pillow was perfect. I came out of the 4-hour flight better than any past experience. However, on my second flight, I no longer had the window seat, and thus have nothing to prop my head on anymore. The J-pillow isn’t enough in this aspect, sadly. For what it is, I was expecting it to fully support my neck and head. 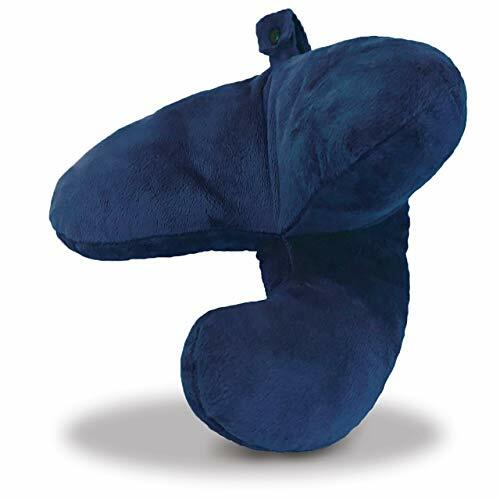 When traveling, I usually just slot the U-shaped travel pillows over my neck while walking around the airport, however, this can’t be done with the J-pillow. I tried using the J-pillow on my bed since I tend to use lots of pillows to sleep, and the hotel only came with one pillow, and it just isn’t enough for me. As an arm pillow, it works great. As a back pillow, well, it can be a bit lumpy. I wanted to use it as a feet pillow, but it is too small to fit both of my feet. Only one foot can be propped onto it, and it makes me feel uneven. I also tried wearing earphones with the J-pillow on my head, and it just isn’t a good idea. It is super hard to find the perfect spot, and once you do, because of the softness of the pillow, it’ll move and you’ll have to find the perfect spot again. I can imagine further discomfort when wearing headphones. The J-pillow really is for just trying to sleep on a long haul flight without music going to your ears, which is sad. Because I often use music to get myself to sleep. The cover doesn’t detach from the filling either, so washing this may be a problem for me. I haven’t tried washing it as a whole yet though, but the product description says I can just wash the whole thing and it will come out as new. I was really hoping it came with a bag for it, so it can easily be transported to and from places I travel to. Without it, it becomes an extra object you hold in your hand. Thankfully the snap loop can be used to hook it onto my belt, but that is only a compromise, as I may not have held it with my hands, it made me look weird and funny. After much thought from my experiences, I would give it a score of 2/5. It is really a fascinating product, innovating in all aspects of the product for comfort, but for the price of $50, it has a lot to improve on, actually so much more to improve on. I am no product designer, but maybe different sizes can also be made available? Since some people have long chins, short necks, etc… This way its effectiveness can be taken advantage of by many people. Sadly, the product really falls short of its hype and my expectations. Adding options of customization may add to the greatness of this aspiring product. 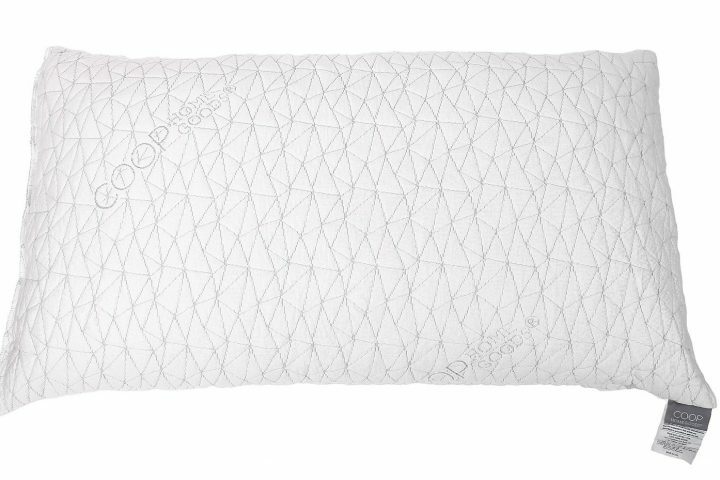 The product has all the nice features I would look for in an ideal travel pillow, but it doesn’t give the features it has any justice. It’s as if they’re there just to say they’re there. A bit more work and I’m sure that'll sell much easier. I’m very disappointed in how this product turned out. It has potential to do so much more, and be more comfortable, and be more awesome! Is it a must have? Definitely not, but it is a nice add-on to normal traveling. I can only say that it is the best travel neck pillow for long flights, that is if you can get the window seat. 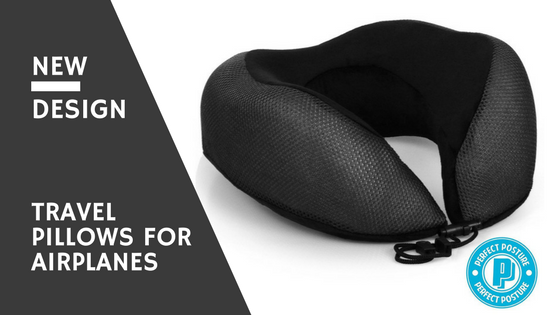 Without it, it functions pretty much just like a normal neck pillow. I can see that many j-pillow reviews and travel pillow reviews agree with my thoughts. If you have extra money lying around, I’d still suggest for you to give it a try, since your mileage may vary from mine. But let me already tell you now to not keep your hopes up. I hope this J Pillow review was helpful. The product is currently on sale on Amazon for only $24.95 bucks with free shipping, so you might want to take the opportunity to try the British Invention of the Year for 2013! 50% off is more than enough to make me buy stuff. 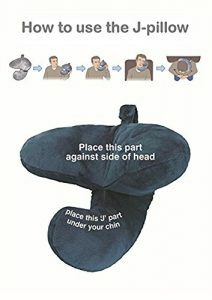 STOPS HEAD FROM FALLING FORWARD while sleeping with ingenious chin support, while at the same time supporting your head and neck in the perfect position from the side. It's like lying down while you're sitting up! It is the dream of every human being to have a good sleep at night. However, your sleep is affected by many different factors. The pillow holds a prominent place out of them. 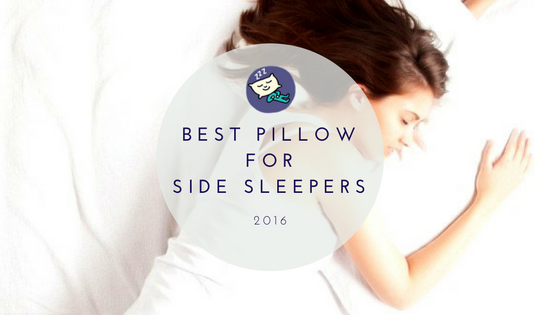 Therefore, you will need to figure out the best pillow for sleeping. That’s where we can assist you with. 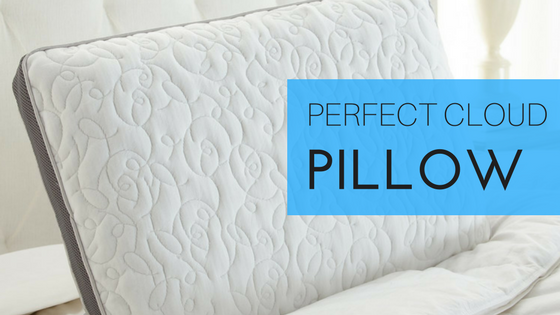 We have done a detailed analysis of pillow types that are available out there in the market. 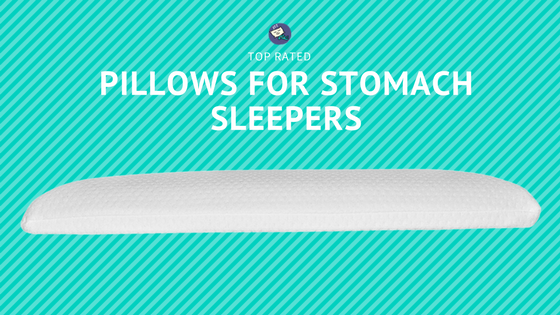 Through the analysis, we have gathered a lot of useful information about pillows and how they can contribute towards the sleep of an individual. In fact, we have done the hard work and you just need to go through what we have mentioned in the website. 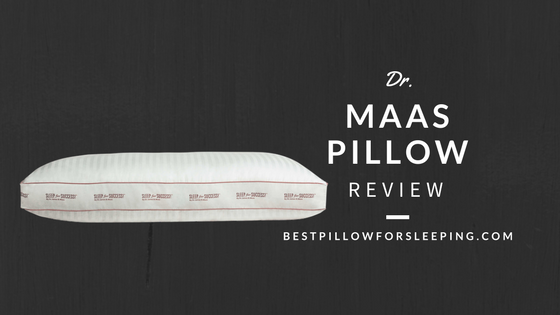 It will assist you to determine the best pillow available for you out there in the market. It is important for you to have an uninterrupted and comfortable sleep for at least 7-8 hours a day in order to maintain good health. If your pillow is not supporting you with that, you will have to deal with a variety of health issues in the future. 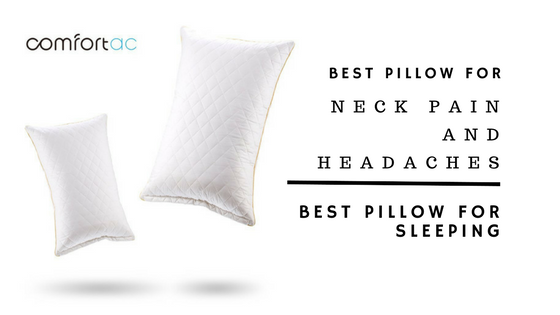 For example, a lot of people have to deal with frustrating neck pains because of their pillows. We can assist you to stay away from the trouble by providing all the useful information. Therefore, feel free to explore our website and enhance your knowledge on how to select a good pillow for you. It would benefit you and your health in the long run. Best Pillow for Sleeping © 2017. All rights reserved.